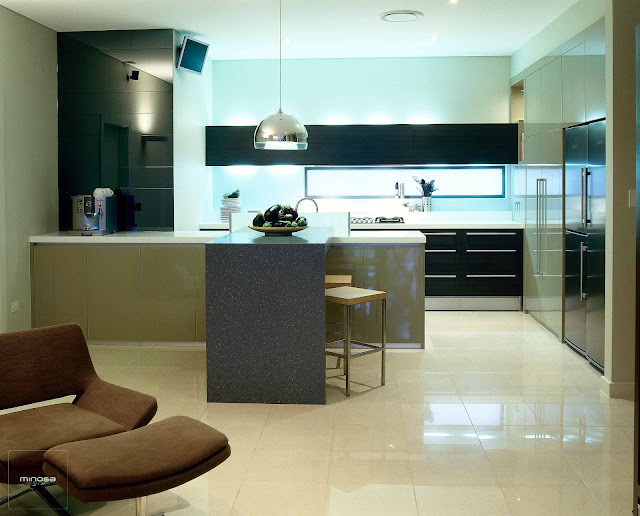 This kitchen, created by interior design company Minosa, incorporates the client's wish for a minimalist KITCHEN design, free of visible clutter, which should blend seamlessly with the new, architecturally designed home. 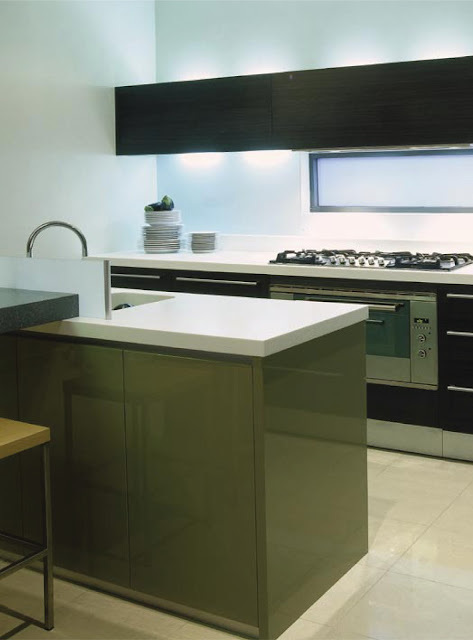 An L-shaped kitchen design features a central island with a breakfast bar at right angles. This layout creates four main working areas and enables good flow from the kitchen to living space. 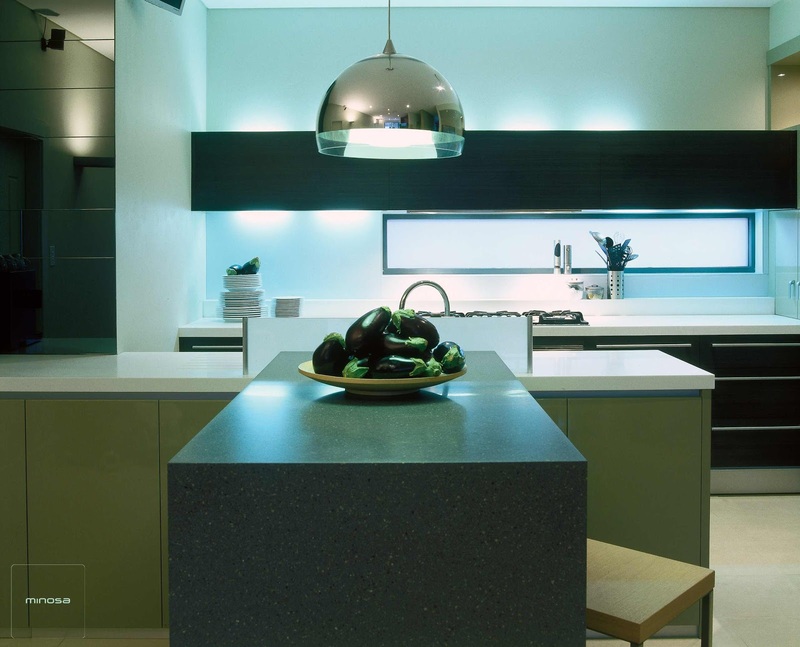 The work of a kitchen designer can sometimes be a balancing act between the wishes of the client design brief and the structural limitations of a particular site. In this instance, fulfilling the clients' wish for a high-quality, clutter-free fit-out that would meet the needs of a large family meant incorporating design solutions to overcome previous building errors, says kitchen designer Darren Genner, from Minosa. 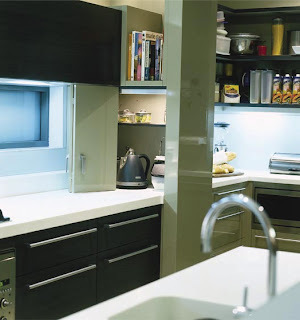 "Our brief was quite minimal, but two specifications were a concealed butler's pantry and a large refrigerator. Structural challenges included two walls that had crept in to the available space due to building errors and a highlight window fitted in the wrong location," says Genner. 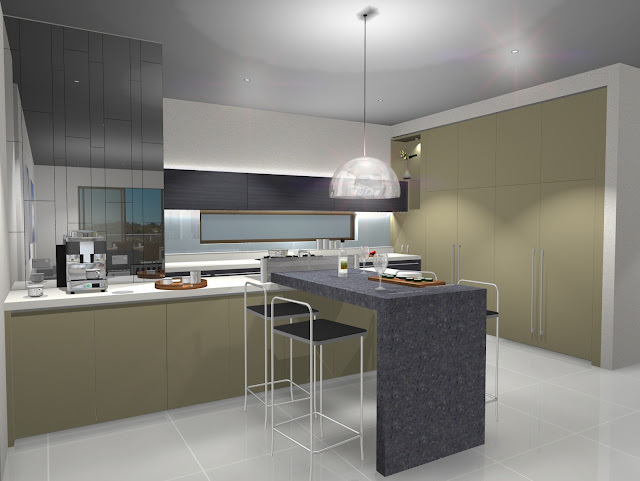 The design team decided on an L-shaped layout, with a central island parallel to the access point and a breakfast bar at right angles, as the best solution to optimise space and provide four working areas. Adjacent to the refrigerator, a butler's pantry with a Häfele pocket door system was installed. 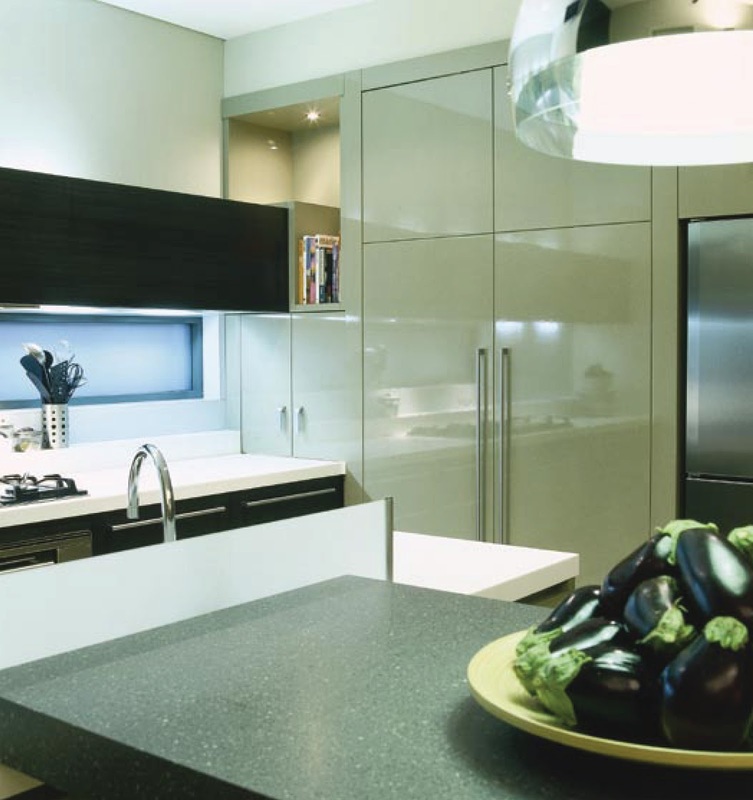 Externally, the appearance is of two tall pantry units. "By incorporating a higher breakfast bar into the island we were able to effectively use space that may otherwise have remained ordinary. As an added benefit, it enables better family interaction when someone is preparing meals," he says. The longer side of the L-shaped plan was designed solely for food preparation, says Genner. Symmetrical cutlery and pot drawers on either side of the oven are within easy reach when cooking. Additional drawers were placed in the kickboards for awkwardly shaped items. 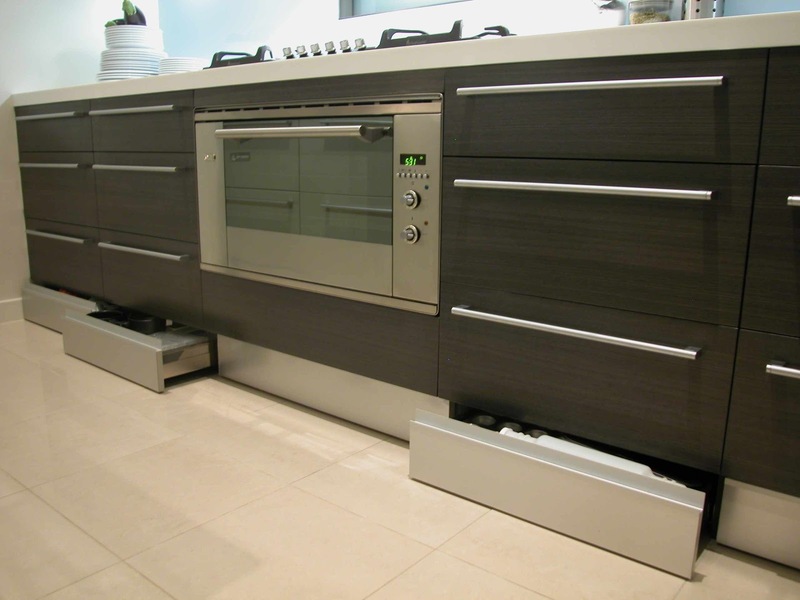 "To further free up space, a ledge at the rear of the benchtop accommodates items that would normally take up valuable bench space." 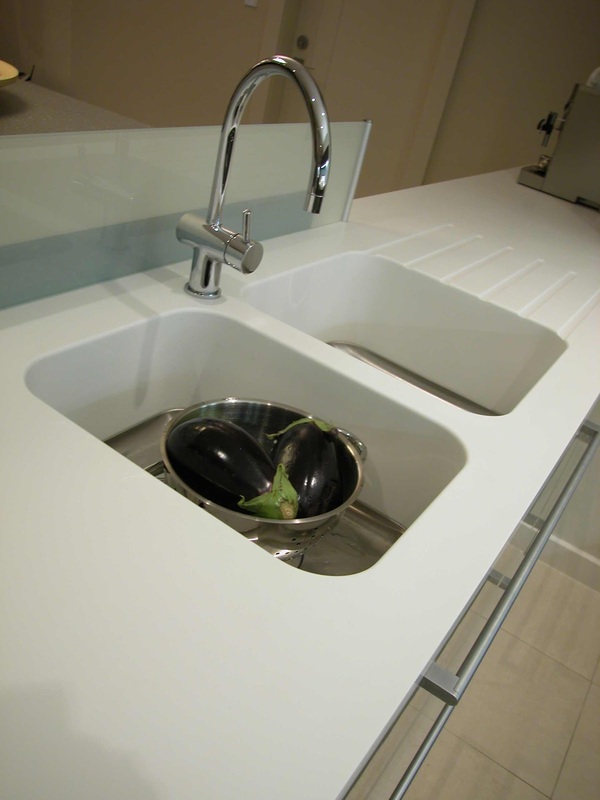 Two Corian sinks are integrated into the island benchtop and concealed from view by a laminated splashback. Below, two Blum sink drawers house kitchen products. The space under the bench, where these products would normally be stored, was freed up to provide further storage and a waste recycling centre.